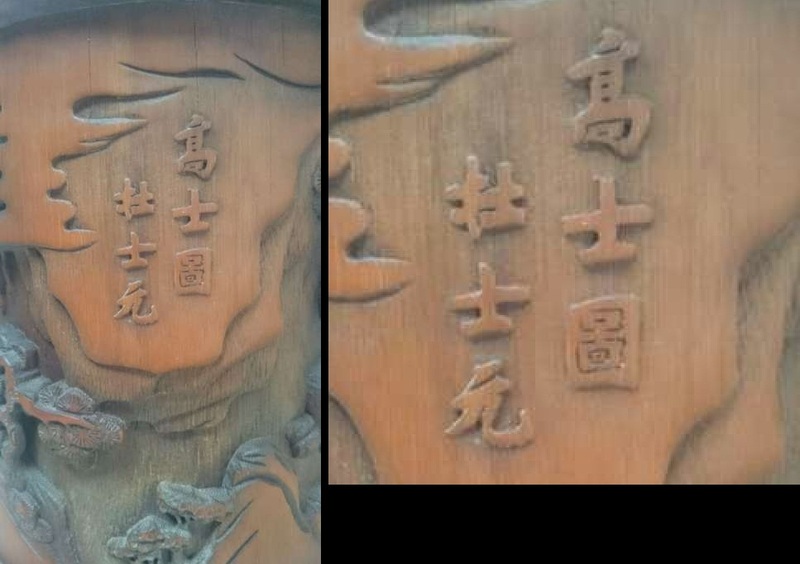 Would you like plz to help in translation this chinese characters, artist name/seal and if possible the date of manufacture ? Many thanks in advance. "Gaoshi" refers people who have a high moral character. It may refer to hermits, too. Ching Dynasty carving craftsman. Year of birth and death is unknown. He was active between 1750-1795, during the reign of Emperor Qianlong. Thank you Rat for the link.